Latest Designs in Uppada Sarees. Uppada Sarees are pure silk and Genuine Quality and these are Pure Handloom Sarees at very affordable prices. 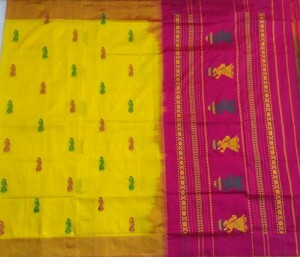 Uppada Sarees are very light in weight. 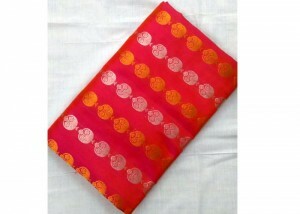 saree cloth very soft also called uppada soft silk sarees. Available Designs in Uppada Silk Sarees are Uppada checks Design, Uppada Plain, Uppada Butta Design, Half and Half Sarees, Uppada pochampally design sarees, Uppada Three Line Sarees, Uppada Stripes Sarees. Another Latest Trend in Uppada Tissue Sarees, available in Uppada Full tissue Saree, Uppada Half Tissue Sarees. Shop Online Uppada Sarees with confidence. Uppada Sarees are 100% Quality Collected from Handloom Weaver.